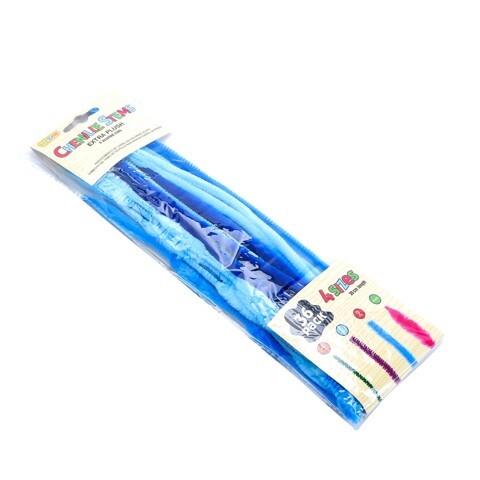 Chenille Stem Colour 36Pc Pk. 30mm length - 4mm | 6mm | 9mm . Available in 6 Assorted Colour Packs: Blue | Black and White | Greens | Oranges | Pinks | Purples and White. Polyester l Iron. 46G Packaging: Polybag with Colour Insert.